A new biograp hy about William Wedgwood Benn, the father of Tony Benn, will be officially launched at a special lecture at City University London. 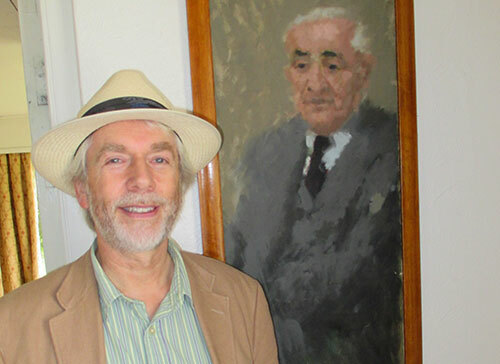 At the event on Tuesday 23rd June, author Dr Alun Wyburn-Powell will explore the lessons the Labour Party can learn from history in its search for a new leader. 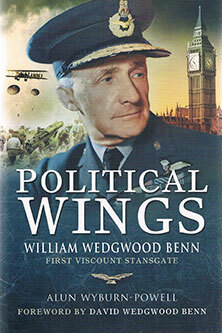 The book, Political Wings, provides the first comprehensive account of the life of William Wedgwood Benn, the challenges he faced while a cabinet minister and the origins of the country’s best known political dynasty. Dr Wyburn-Powell, a political historian and Visiting Lecturer at City, will discuss the myths surrounding the Benn family’s past and explain how William Wedgwood Benn became the “pivot” for the politics of his children and grandchildren. William Wedgwood Benn, the first Viscount Stansgate, was the first of three successive generations of his family to sit in Labour cabinets. Each was present during one of Britain’s major financial crises. The politician, who served in both world wars and defected from the Liberals to the Labour Party in 1927, was Secretary of State for India in Ramsay MacDonald’s Labour cabinet from 1929 to 1931. His son Tony Benn was in the cabinet during the IMF loan crisis in 1976 and Tony’s son, the current Shadow Foreign Secretary Hilary Benn, was in the cabinet during the 2008 to 2010 crash. Dr Wyburn-Powell, of the Department of Journalism at City, believes Labour should take a fresh look back at their progression through the last century to offer insight to their next leader. He said: “Deflation, the aftermath of a banking crash originating in the US, unsustainable government borrowing and the Labour Party, having disowned its most successful leader, now out of office and taking the blame. “This may sound familiar, but this is not just now, this was 1931. In both cases, the Labour Party lost office at the next election and failed to win the contest after that. “Although the party does not like to look back on 1931, I believe that by exploring its history there are lessons Labour can learn when choosing its new leader. “Reading back through the fascinating journey of the Benn family, which has seen a member stand in every general election since 1892, apart from 1945 and 1950, there are many events that have an extraordinary resemblance to the political challenges of today. “William Wedgwood Benn, an astute observer and recorder of events, left a detailed record of the critical events of 1929 to 1931, which saw him lose his seat in a Labour Party collapse. “I believe these times should not be too painful for the Labour Party to revisit and that a fresh look at these events could offer some insight into how the party’s new leader, whoever is elected in September, could help the party to move on, without being forced into disowning or apologising for the past. Attendance, including drinks and nibbles, is free, but booking is essential. Several members of the Benn family, together with journalists and historians, will be at the event. 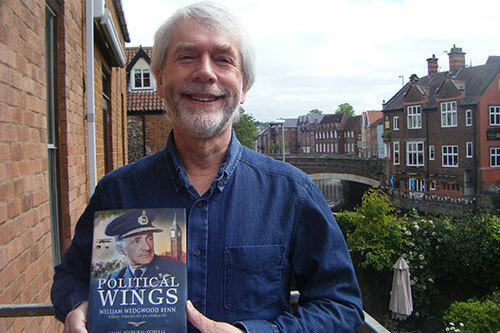 Copies of Political Wings, the third book by Dr Wyburn-Powell, will be available to buy. To attend the lecture and book launch, please sign up here.